Invoice history based on 345 reviews. ….. is a experienced and professional electrical contracting company that is based in East London and we cover the whole of London. We pride ourselves on high levels of workmanship and believe that going the extra mile for the customer makes a big difference. We believe that being honest and straight forward with you, our valued customers you know exactly what to expect and we do out best to be transparent so that there is no surprises at the end of the day. 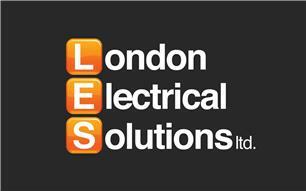 We believe that customer satisfaction is paramount so next time you need a electrician think of London Electrical Solutions ltd as your First choice. We provide a vast amount of services from domestic work including replacing consumer units, installation of heat and smoke alarms, additional power points, new lighting all the way up to complete rewires, cctv installations electrical safety certificates ( EICR ) and faulty finding. Commercial work will include new lighting and power installations, upgrading to led lighting, emergency lighting, consumer unit upgrades, periodic inspections, maintenance contracts , cctv and a lot more .